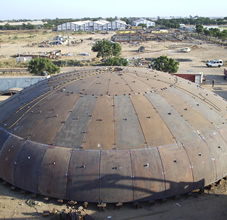 We have extensive experience in providing turnkey solutions for Low Pressure API 620 Dome Roof Storage Tanks. We have designed & supplied such Tanks to a range of customers in India and abroad on a turnkey basis. 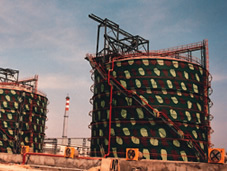 As a major player in the design of Cryogenic Storage Systems, we bring to the table a strong degree of experience in all kinds of API 620 Storage Tanks.